This paper investigates adaptive reconfiguration control problem for unmanned aerial vehicle (UAV) helicopter system with a moving leader. Only part of UAV helicopter is informed to have access to the leader’s position. The six degree-of-freedom UAV system is composed of position outer loop and attitude inner loop. 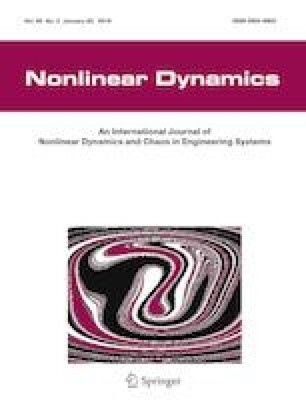 In this paper, we introduce a new fully distributed, finite-time reconfiguration controller and the problem of inter-UAVs collision avoidance was solved using potential energy function approach, extending the asymptotical formation controller without collision avoidance from the literature. The distinctive feature of our algorithm from existing works is that the novel formation reconfiguration controller can achieve finite-time, collision avoidance and fully distributed formation only based on relative positions between UAV and its adjacents. It means that the control algorithm is independent of any global information that requires to be calculated by each follower UAV. The system uncertainties are estimated by radial basis function neural network in practical finite time. Simulation results are shown to demonstrate the efficiency of the designed strategy. This work is supported by National Natural Science Foundation of China (Nos. 61673294, 61773278, 61573060, 61703134, 61503323, 61603274), Joint fund of the equipment pre Research Ministry of Education (6141A02022328), Natural Science Foundation of Tianjin (No. 17JCQNJC04400), Youth Foundation of Hebei Educational Committee (No. QN2015068), Natural Science Foundation of Hebei Province (Nos. F2015202150, F2017203130) and Research Project of Tianjin Municipal Education Commission (Grant No. 2017KJ249). No conflict of interest exits in the submission of this manuscript, and the manuscript is approved by all authors for publication.